PHOENIX BEAT ASPLEY IN THE CUP!! ASPELY HOWEVER WIN THE LEAGUE. After Phoenix Athletic conceded the Senior Cup win over Aspley United on Thursday, teams have stayed on top form for the weekend. Even with the season drawing to a close, teams are giving their all and gaining good scores as a result – with all home teams coming out triumphant. In the Premier division, Bear keep up their winning streak after beating visiting side AFC Nottingham 5-4 this week – pushing them into second place. A hat trick from Victor Silas, and a single from Matt Aris were not enough to keep the Bears back – they then unleashed a flurry of goals, in the forms of Ryan Marsh, Matt Bishop and Mark Gallagher’s hat trick; pushing them to win. Aspley United retain their hold of the top of the division table after winning at home 7-2 over Sports Direct. Even with goals from Ryan Hymes and Calvin Hazard, Sports could not keep the goal score up for their side, and so Aspley took over. Goalscorers for the home team include Steff Dalmedo with a wicked brace, Andrew Barratt, Wayne Evans, Kev Morledge, Michael Rankin and Patrick Swift. In Division 1, Clifton United have leap-frogged into fourth place after an outstanding victory on home turf 12-1 over Misfitz. The away side tried to hold the fort, but the Clifton lads were just unbelievable! Leon Bernard opened the scoring with a great strike, Steve Hyland then captained the side and scored a great header on his retirement match. Martin Dennis secured his third goal just before half-time, where Misfitz pulled one back with Michael Marshall being on form. The second half however, was destroying! Martin Dennis picked up another four goals, with Dan Martin assisting with a hat trick, bringing them back-to-back. Overall, a great performance with worthy winners. Fox & Crown Basford also move up the table, this time two places after beating Scorpion 6-2. Overall a good game – the score was 1-0 at half time to Fox with a top goal from Ryan King, betting three players on his way. In the second half, even with a brace from Scorpion’s Dean Tyrell, the Foxes held out to secure the win. Matt Penfold brought a brace to the game, alongside singles from Rick Thomson, Tom Jackson and a 25yrd from Matt Shipman. Division 2 sees Kingswell Rangers II pick it up in the finality of the season, after beating Junior Cup champions Southbank 4-3. Both teams fought hard for the result, but goals from Dan Langley, Dan Martindale and Oneil Mansaram were just not enough for Southbank to win the match. Instead, goals from Matthew Wright, Richard Colebrooke and a brace from Curtis Williams brought the Rangers home victorious. Finally, Notts United hold out with a 3-2 home win against Reckitt Benckiser. Goals from Glen Doyle, James Hunt and Callum Cossey all contributed to the victory, and Reckitt’s score (made possible by Scott Williamson and Matthew Carnell) was not quite enough to draw level with Notts. 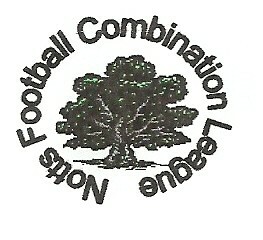  SEASON KICKS OFF WITH A BANG Week one in the Nottinghamshire Football Combination League’s 2015/16 season, and we have not been disappointed! The new season has kicked off with a bang – with brand new teams showing their worth, and old favourites making a comeback.